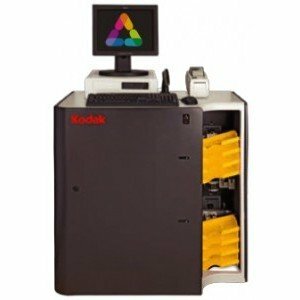 The Kodak APEX (Adaptive Picture Exchange) system is a modular, scaleable, integrated solution that significantly increases profit potential for the on-site retail photo department, and delivers a low total cost of operation while enabling premium, high margin consumer photo products. The Kodak Apex is a powerful combination of flexibility and scalability, truly modular in design to adapt and grow to meet your needs. The Kodak Apex easily integrates with your current Kodak Picture Kiosks to let you offer the latest products.